Before I read Robert Kastenbaum’s textbook on death and dying, I was not aware that some U. S. newspapers refuse to print the obituaries of stillborn infants. I had to read the statement twice to believe it was there–to be fair to Kastembaum, he does not like that fact any more than I. Although my fraternal twin brother, Jeffrey, was not stillborn, he died two hours after birth of severe bilateral pulmonary hemorrhage. The tendency in society is to downplay the import of such losses and downplay the parents’ grief. “The child really didn’t get a chance to live.” Granted, the child’s life was short, but what follows from that? 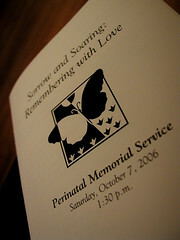 Is a mother or father’s love somehow missing because a baby was stillborn or died shortly after birth? What gives a newspaper a moral right to deny the existence of such infants to the point of refusing to print their obituaries? I wonder if a society that allows abortion through the ninth month of pregnancy (provided, during that last trimester, that a woman has a doctor certify that the fetus is a threat to her physical and/or “mental” health) can properly value stillbirths or infants dying shortly after birth. Those newspapers that forbid such obituaries are reflecting the values of moral liberals in the wider society, liberals who do not admit the intrinsic value of human life from conception onward. Such an attitude is reflected in bioethicist Peter Singer’s statement that “An adult chimpanzee is of more moral worth than a newborn human infant.” He would go as far as to deny personhood to a newborn until the baby is a week old, and even then Singer does not believe that true moral personhood is present until the child is several years old. American society may not be quite that radical, but when children are considered to be burdens rather than gifts, a stillborn infant can be relegated to secondary status–or perhaps to tertiary status, lower on the scale of value than nonhuman animals. Recent research on grief suggests that parents, especially mothers, mourn deeply over stillbirths and over infants who die shortly after birth. The least a newspaper can do is to acknowledge their loss by printing their child’s obituary. To do otherwise is to exhibit a fundamental lack of respect for the dignity of the stillborn infant or of the infant who dies shortly after birth. To do otherwise says that the severe grief felt by parents over the infant’s death is misguided. I suggest that it is not the parents who are misguided; it is newspaper editors who refuse to respect the dignity of all human persons, born, stillborn, or unborn. The fundamental goal of medicine is the patient‘s good. Edmund Pellegrino and David Thomasma both focus on that point in their 1981 book, A Philosophical Basis of Medical Practice, the book that has most influenced my approach to medical ethics. All other goals–having an up-to-date facility, having the best equipment at a clinic or hospital, turning a profit, and efficiency in finances, must be subsumed under that primary goal. The good of the patient may involve curative care, or it may involve palliative care in the case of a dying patient. The human person is a whole, body and soul, so medical practice must focus on the good of the whole person and not just on body parts and diseases. The good of the patient may include physical good, but it may also include psychological and spiritual good. Recognizing the complex dimensions of personhood and treating a patient as a person, not as a thing, will do more for the good of the patient than merely diagnosing and treating a physical disease. Even a “physical disease” contains a psychological component, since the patient’s mood can influence the course of the disease for good or ill. Sometimes a physical disease can be triggered by psychological stress. Extreme emotional stress can activate the HIV virus so that a person gets full-blown AIDS. Other diseases may be activated by stress: cardiovascular disease, cancer, rheumatoid arthritis, lupus, infectious diseases. Part of a medical practitioner’s job is to recognize when a patient is having a great deal of emotional stress and encourage the patient to deal with that stress. Treating the patient as a person implies that assembly line medicine is not ideal. Despite massive debt that young physicians often try to pay off with a high volume of appointments, at some point a provider is spending too little time with patients and comes across an uncaring. Constantly looking at one’s watch does not help. Talking to a patient in a real conversation does. Of course any doctor, PA, or nurse practitioner must have some limitations on patient appointments in order to receive all those in need. Finding the correct balance is not subject to exact rules and is a matter of prudence. Prudence is the ability to make a good decision in both routine and in more troublesome and complex situations. It is an essential virtue, necessary for both everyday medical, as well as for moral, decision making. A list of absolute rules to follow will not help in ethical dilemmas in which rules conflict and are only prima facie, which higher-level rules may supercede. The fundamental end of medicine implies the principles of benevolence, nonmaleficence, and justice. Autonomy is trickier, since it is an enlightenment concept that may be conditioned by contemporary Western Culture. Kant himself thought we would autonomously give ourselves the moral law, but the term is used today for “the right of every adult to make choices based on their own value systems.” In practice, there is limited autonomy in medicine; not everyone can practice medicine, and drugs must pass FDA approval before being placed on the market. These limitations are so patients will not be misled by quacks or those pushing an untested, ineffective, and perhaps dangerous, drug. Autonomy in patient decision making recognizes that it is the patient’s body who is being affected by medical treatment, and that the patient’s values are not necessarily the physician’s values. I think of respecting autonomy in terms of respecting the free will of patients to make their own decisions regarding health care. This helps preserve the dignity of the patient in a setting in which the sick patient, feeling powerless, tends to lose a sense of dignity. 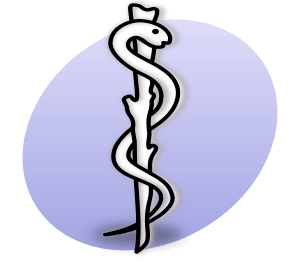 There are a number of controversial issues in medical ethics that focus on the nature of the patient’s good, or even if there is a patient present to whom the health care provider does good or harm. 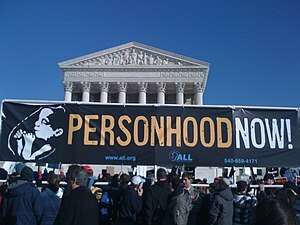 The abortion issue is one of these–if the fetus is a patient, then abortion amounts to murdering a living human person. If the fetus is not a patient because he is not a person, then the opposite conclusion seems stronger. My own view is that personhood begins at conception, so that any doctor or health care worker helping with an abortion is violating the fundamental end of medicine. The same would follow for euthanasia and for physician-assisted suicide. Many people will disagree with these positions, and I welcome rational argument on any position I set forth in this blog. Most issues regarding the fundamental good of medicine are more mundane that the large scale bioethical issues often discussed in undergraduate medical ethics courses. Usually the practical everyday issues involve the amount of time spent with patients, dealing with difficult patients, keeping information confidential, keeping medical records accurate instead of falsifying “the little stuff,” and so forth. All these issues involve remembering that the patient is a human person with feelings, with a life, with loved ones, just like the health care provider–and that providers can help a person leave better than when he arrived.